In South Africa’s currently volatile labour market, as a jobseeker you may think you simply have to take every job you can get. However, choosing a company that matches your needs is also extremely important. ClockWork’s matching algorithm factors in a range of critical criteria to ensure you, as a jobseeker, are matched with the right employers. During this blog series we look into the best companies to work for within some labour-based industries – like the events industry. Ignite Events is an events services supply company which means they supplement and complement event managers and co-ordinators that need expert bar, staff and operational support. Their event staff are extensively screened and thoroughly interviewed to ensure only the most capable individuals work for Ignite. Their incentive scheme for staff make it a professional but fun working environment and really shows the value they put into their staff. This has created a large and diverse database of young skilled servers for them to choose from. Why not become one of them by signing up to work for Ignite and fill in their form. Event Solutions specializes in providing staff to special events industries, which includes exhibitions, conferences, shows and sporting events. 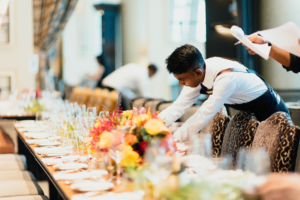 While their main focus is Front of House staff and General Crew, you may find yourself performing roles like, fashion show dresser, stage hand, runner, ticket sales, usher, coat check and more. All of which they will provide thorough training. If you would like to work for Event Solutions apply here. If you want to be involved in more upmarket events and enjoy bartending, then Thirst is for you. 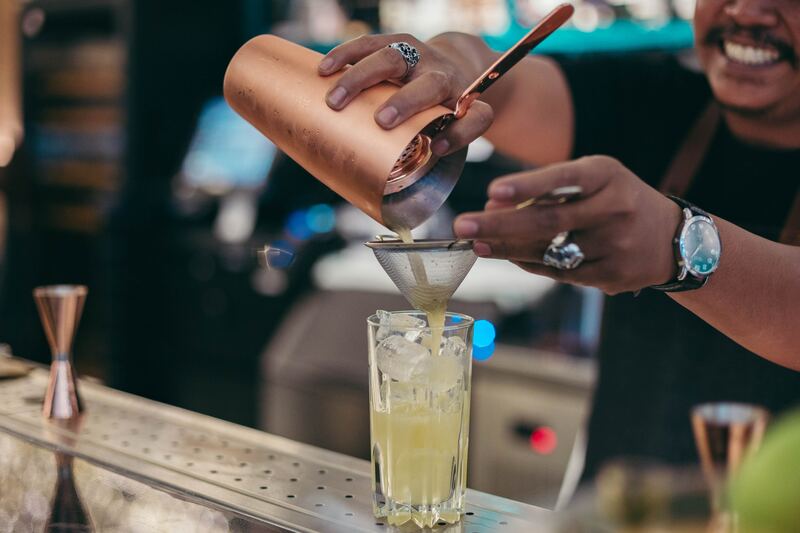 Thirst specialises in high-end mobile bar services, so you will be putting together cleverly crafted cocktails for parties and events around the country. 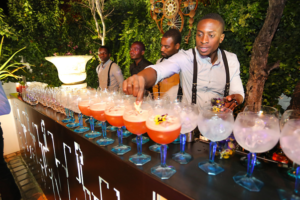 Thirst Bar Academy (TBA) allows prospective staff to hone their skills in Johannesburg, Cape Town and Durban and has trained well over 20 000 bartenders in South Africa. Enquire about joining the Thirst team. Drake Events has a trifecta of offerings for their clients, being drinks, décor and their pride and joy, staffing. They believe in having relationship-based clients, where profit is not the only incentive. Trust, honesty, loyalty and dedication are a few words which describe the company and the values they look for when hiring their staff. They service thousands at end-of-year functions but are also well versed in the smaller events, like house parties. Their staff are described as trained, friendly, professional, and fun and specialize in event managers, cocktail & regular bartenders, baristas, waiters, promoters and hostesses. All staff are trained in-house in their particular field and at times cross-trained if they see potential in the staff member. If you would like to join the Drake Events team then what are you waiting for! 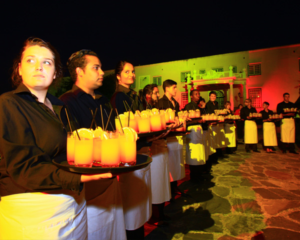 Foot Soldiers offers their clients a trained, professional and efficient workforce for all aspects of corporate events. Their staff perform various roles, 20 different ones in fact, which include airport meet-and-greets, registration staff, water point staff, , on-site ushering, drivers and top-end assistants for all events. They are headquartered in Johannesburg but operate in Cape Town and Durban too. Since 2011, they have helped over 180 clients put together 2600 events nationwide and have more than 3800 event staff or ‘Soldiers’ as they like to put it. Despite the name, Waiter For Hire has a wide range of staff offerings apart from just waitrons. 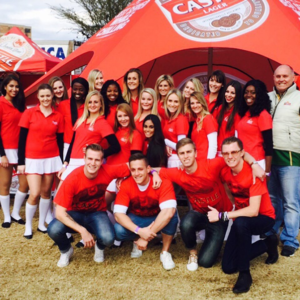 Their staff skill set encompasses bartenders, braai chefs, cashiers, hosts, chauffeurs and even body guards. To complement this array of offerings, their events range from weddings to festivals and home functions to fundraisers. Waiter For Hire have over 1000 staff members that operate in Johannesburg, Cape Town and Durban. They offer staff at short notice so it is important you have a flexible schedule. If you’re a student this could be the opportunity for you. Enquire to be a Waiter (or other) For Hire through their contact form. We want to finish off by providing a few more tips to consider when choosing the company to work for. You can use the ClockWork App to check that the company is right for you. 3) Chat with your employer using the in-app chat function. This can be found in the ‘chats’ tab on the bottom bar of your jobseeking app.